I actually have more of a salt-tooth than a sweet tooth, so it’s a rare occasion when you can entice me to get overly excited about a sweet treat. But, I'll give it ALL up when it comes to butter cake. Peef and I tasted our first St. Louis style butter cake at the Flying Monkey Patisserie in the Reading Terminal Market in Philadelphia. The crisp sugary top, rich cream cheese and butter filling, and chewy cakey bottom won us over, and we knew we needed to recreate it at home. So, I went on a hunt for recipes. Guess what I found? Lots and lots of recipes using boxed cake mix and other short-cut ingredients. So, I decided to take on the recipe myself. Turns out that keys to a great butter cake include room temperature ingredients, an electric mixer, and ... you guessed it... real butter. 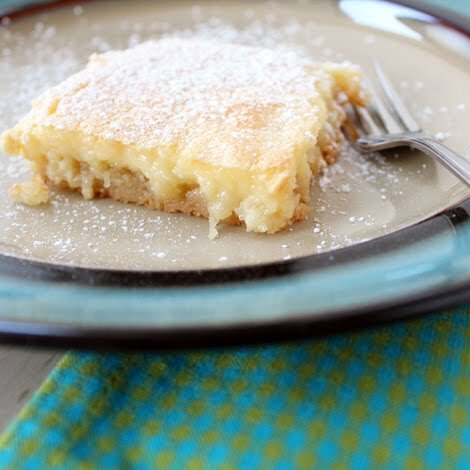 Although there are many varieties of butter cake, including vanilla and chocolate, I decided to take advantage of the seasonality of lemons for this version. I'm a big fan of lemony desserts. And I feel like the natural tartness of the lemon really helps to balance out the sweetness of this otherwise sinful and addictive dessert. Oh boy this looks like one of my addictions Lori. 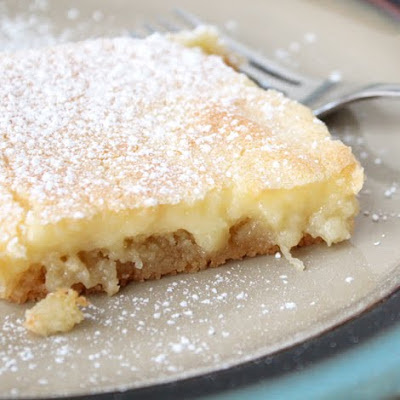 Lemon offsetting sweet is "to die for" in my book of favorite desserts. Funny, I made my 1st cheesecake last night... a lemon cheesecake.